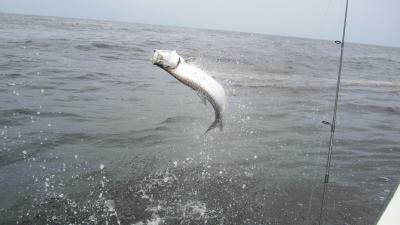 Lock in a great price for Toucan and Tarpon – rated 8.2 by recent guests! 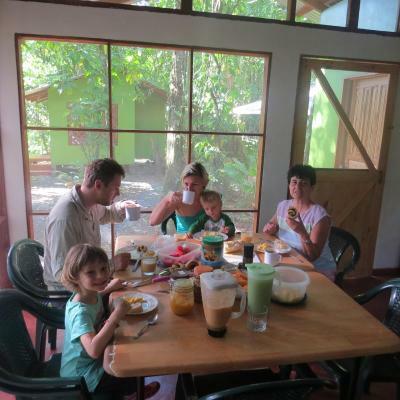 I loved the fresh breakfast with fruit and eggs and/or pancakes and toast -- terrific. 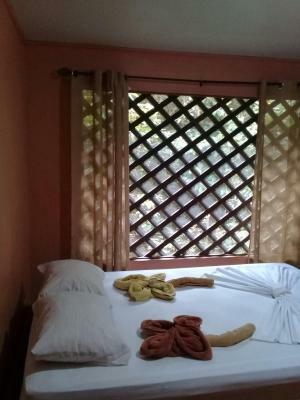 The location is lovely, and a short walk from the Pachira Lodge's boardwalk through the jungle. Creatures great and small always around. Just made me feel good all around. Ever was very helpful with tours and Arranging transportation. It was nice to be away from the busy village. 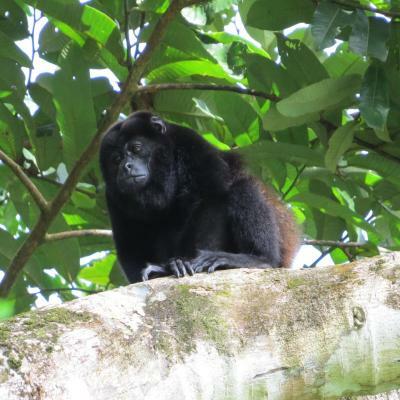 We started seeing monkeys, sloths and birds the minute we stepped onto the Property. Ever’s canoe tour was great. 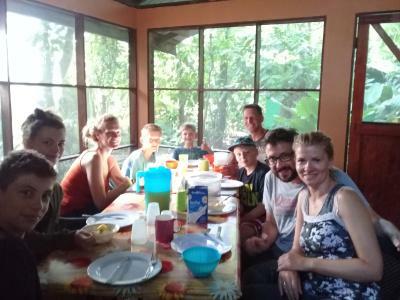 It was fabulous: the jungle was literally all around our cabin, it was calm and beautiful. We saw many animals like reptiles and insects. The manager show us a mother sloth and her cub when we first arrived - they were only 100 ft away from our cabin! 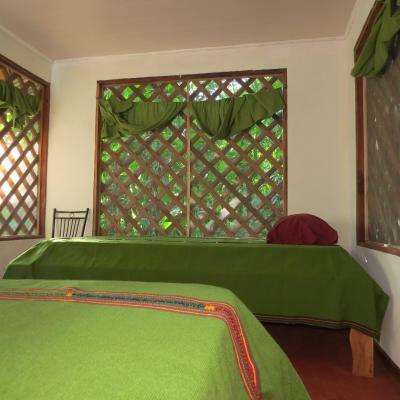 Amazing stay for nature lovers. Ever, the host, is wonderful, knowledgeable, helpful, friendly, enjoyable person. Loved the night hike and canoe trip he guided. Delicious breakfast. Amazing, and humid sleeping in the forest. Getting to mainland a little inconvenient but ever transported us several times for free. This is a very special place. It's on the canal away from the village, so you need to take a water taxi to get to the restaurants/shops/ocean. It was easy and cheap to do that, and we were glad we had such a quiet and natural setting. 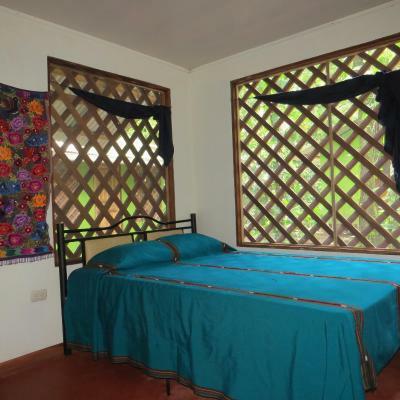 There is a large and clean kitchen for guests' use, nice walking path adjacent to the property, and hammocks to relax in by the water. Ever and his family went the extra mile to make sure we were comfortable. (Ever also leads nature tours for guests-take advantage of that!) 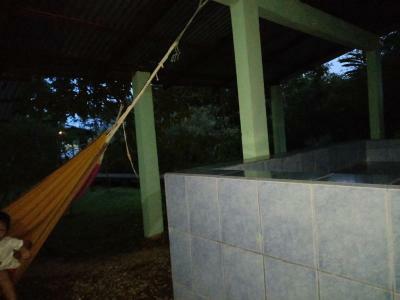 Would recommend to anyone who is up for a bit of roughing it, as there are bugs and other critters around, and no AC or fans. This was just fine with our family of 5 who will always cherish our memories of Toucan and Tarpon! 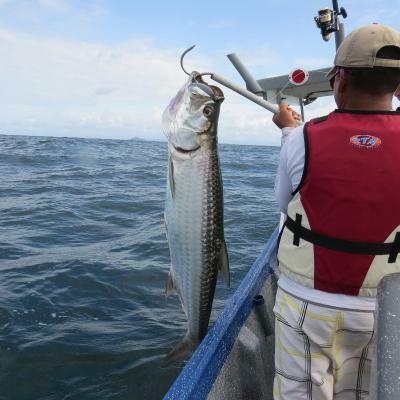 Our stay at Toucan & Tarpon was the highlight of our trip to Costa Rica. The location is great & the facilities are really nice. The staff is super friendly and helpful, they helped arrange all of our tours & water taxis. 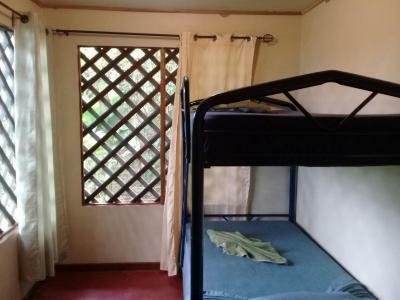 It's very clean with good mosquito nets on the windows. The beds and pillows were the most comfortable on our whole trip and they even had hot water in the shower! The host, Ever, is awesome-friendly, helpful, responsive. A wild place away from the tourist resort on the other side of the river. 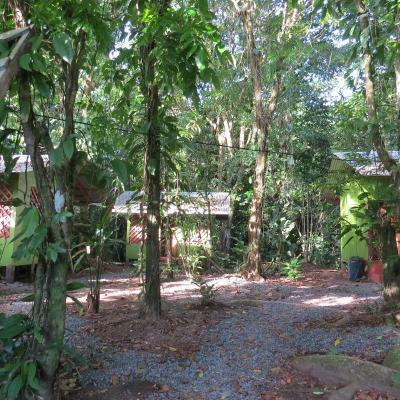 Basic cabins on the edge of the forest with loads of wildlife. The staff were friendly and helpful, good catered breakfast but anything else self catered. The staff were very helpful. It was very personal and they couldn’t do any more for us. No hidden extras. We loved the location and saw monkeys from our lodge. Amazing Location, confort can be improved a lot. A lot of space but very basic services. Natural tropical rain forest noises at night... simple incredible! 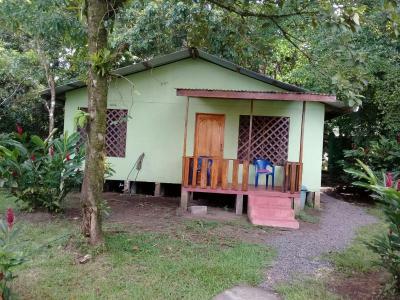 Located over 5 acres of jungle and offering facilities including an outdoor plunge pool, Toucan and Tarpon is a short boat-ride from Tortuguero. The facility is surrounded by local wildlife and exotic flora. Free WiFi access is also featured. 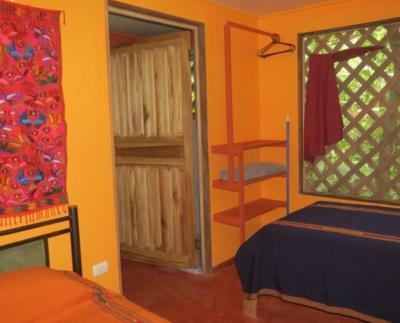 The rustic-style accommodations have a simple décor and have private bathrooms. 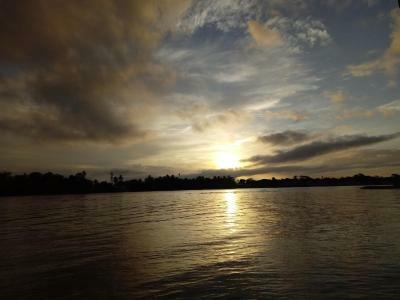 All of them offer stunning views of the surrounding nature. Breakfast is included with the rate. 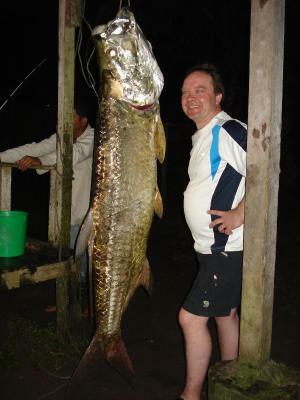 Toucan and Tarpon offers night tours in the surrounding jungle, guided tours by canoe, sports fishing and can advise guests of the most interesting places to visit in the surroundings. 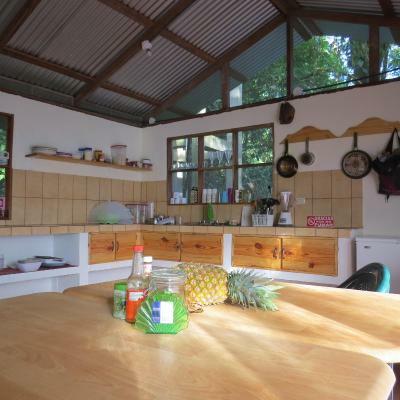 Guests can also use the full shared kitchen available on site. 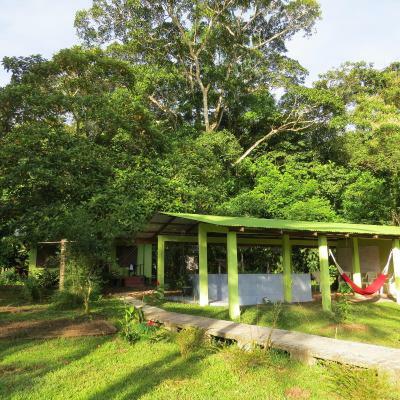 The `property is powered by solar panels. 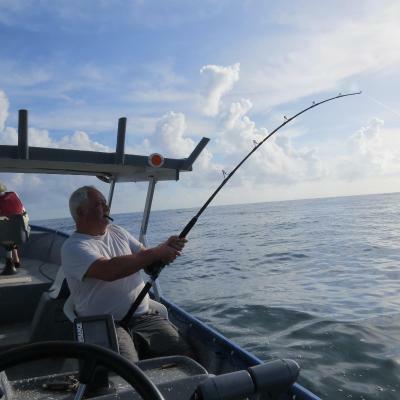 When would you like to stay at Toucan and Tarpon? 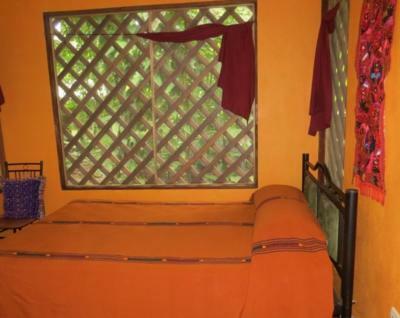 This functional and rustic room features garden views and a private full bathroom. 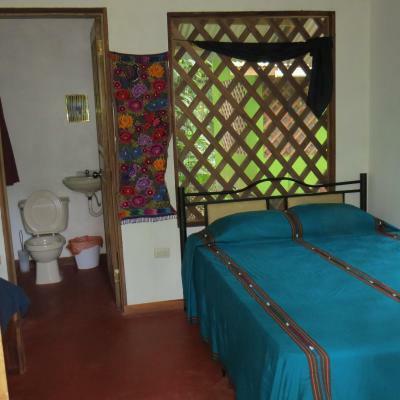 This cabin has a a full private bathroom. This cabin has a full bathroom. 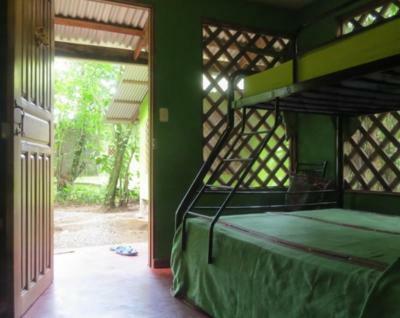 It also features a bunk bed with a double and a single bed plus another one with 2 single beds. House Rules Toucan and Tarpon takes special requests – add in the next step! 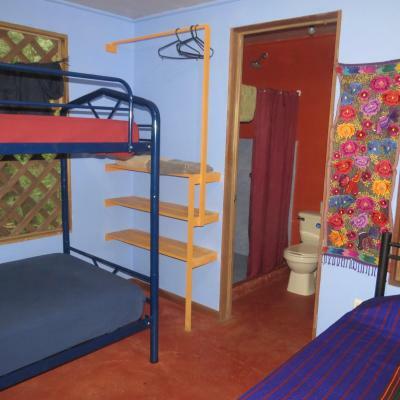 All children or adults are charged USD 5 per night for extra beds. A prepayment deposit via PayPal is required to secure your reservation within 5 days of making the reservation. 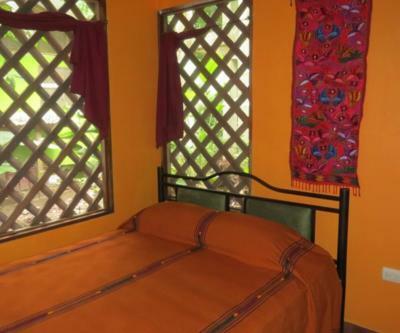 The property will contact you after you book to provide any instructions. 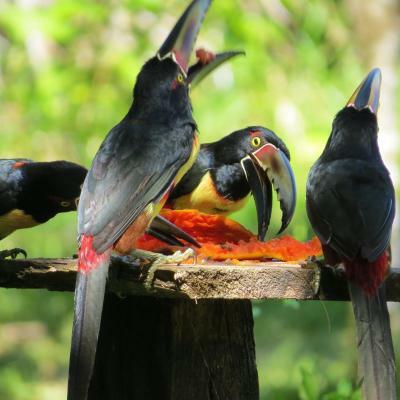 Please inform Toucan and Tarpon of your expected arrival time in advance. You can use the Special Requests box when booking, or contact the property directly using the contact details in your confirmation. Website needs updating. We got the impression that the staff had no budget to spend and the place was tired despite their work. Both the boats were broken down, the large one advertised for fishing has had the engines dismantled and is obviously not been used in a while. The small one's outboard was temporarily u/s so had to be paddled. When we were there, there was trouble with the warm water to the cabins. Our hostess, Naomi, had a frustrating couple days before she could haul someone in to fix it. Also, there are no fans or A/C-- but the evenings cooled off nicely. If you are looking for perfection and all the amenities, spend 400 a night at a fancier lodge. I was very happy with the value and simplicity of this place. 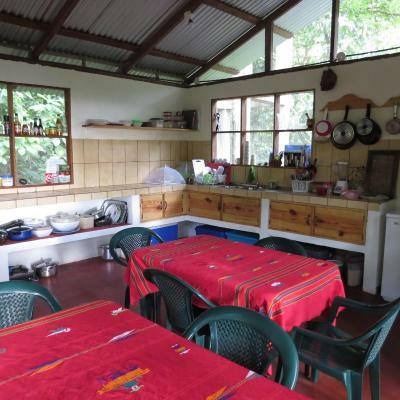 Very clean and comfortable cabins and kitchen area. For nature and wildlife lovers the location is second to none and has more animals and birds around than inside the national park. Naomi the lovely lady that acts as hostess made our stay very comfortable and went above and beyond to enhance our experience. need to improve shower, echological hot water in separated pipeline... frustrating taking shower with 2 shower heads... one cold and one extremely hot. Dark and dingy place, poor lighting, not possible to read inside. Only one working plug. Poor breakfast, (cant cook) and not really possible to prepare anything in the kitchen. No sugar or salt. Tin roof, terrible din most nights as things bounced off the roof! A boat was advertised but was in fact absent with a guide all the time. It was insisted that we pay with dollars in cash and the only cash machine( a taxi-boat ride away) was not working. The transaction had to be completed in the local shop at a 10% additional charge. The houses are across the river and very secluded in the forrest which means you can walk out from the front door. Lots of animals visited, sloth, monkeys and toucans. Brilliant. 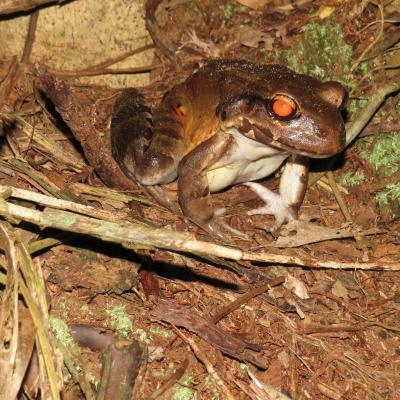 Frogs also nearby in the forrest. 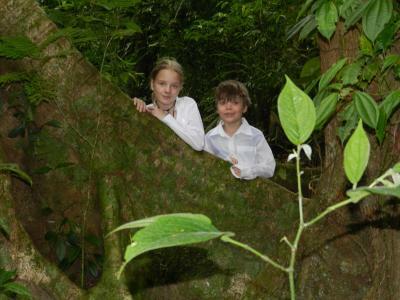 We loved the location, in the jungle. We were in our own oasis with wildlife all around. The night walk with Alfonso is not to be missed. Breakfast every morning in the kitchen was a lovely start to the day. The village is just a water taxi away, arranged through Naomi. Perfect, we will be going back. Very basic room. No airco or fan. No window glass - netting. Poorly fitting curtains. Shower plumbing left a lot to be desired: variable hot water and loose taps. Under new management who are struggling to speak English. Nothing volunteered and difficult to find out how the setup worked. Needed to speak to other guests to find out about tours etc. Good breakfast round communal table. Great way to meet other guests and get travel tips. 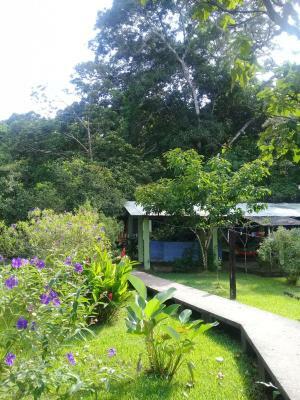 Excellent waterside location in rainforest with easy water taxi to Tortuguero village. 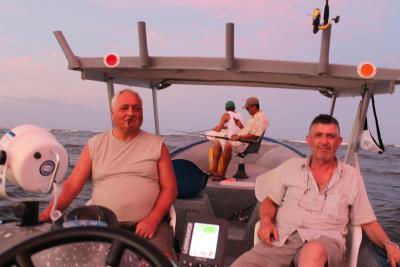 Manager arranged good canoe trip with excellent guide, “Alfonso”. Good rainforest trail from property. Lack of hot water Rooms need fans Expense of going across river for a family of five. Hotel could be more helpful here given that the hotel only serves breakfast The place needs more attention from owners! Lovely place, staff helpful with transport bookings to and from hotel. 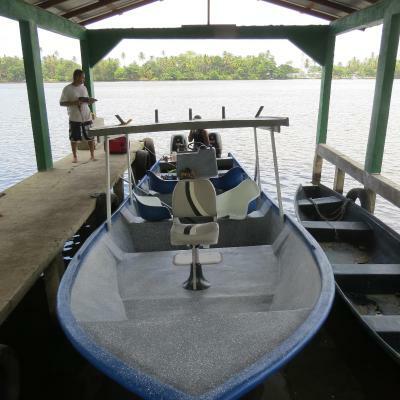 The place is on the other side of the cannal so you need to take a taxi boat (and pay) everytime you want to go to tortuguero village. On the other hand, they let you use the kitchen so you can cook meals! The staff is very nice. The breakfast was very good. It was very nice to wake up with the sounds of nature, the place is very quiet. 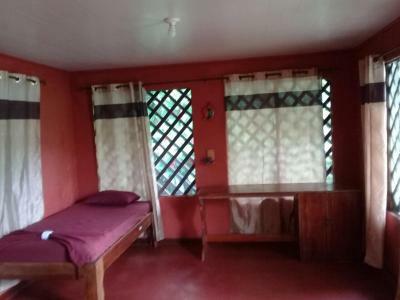 The rooms are very simple and small, but very clean which is nice. Was raining all day so not very convenient to be stuck there on the other side of the river. You have to take a taxi boat each time you want to cross the river ... Did not see any animal neither probably due to the rain. Fantastic location. Wildlife all around the lodge. Great breakfast. Good tours. Helpful hosts.